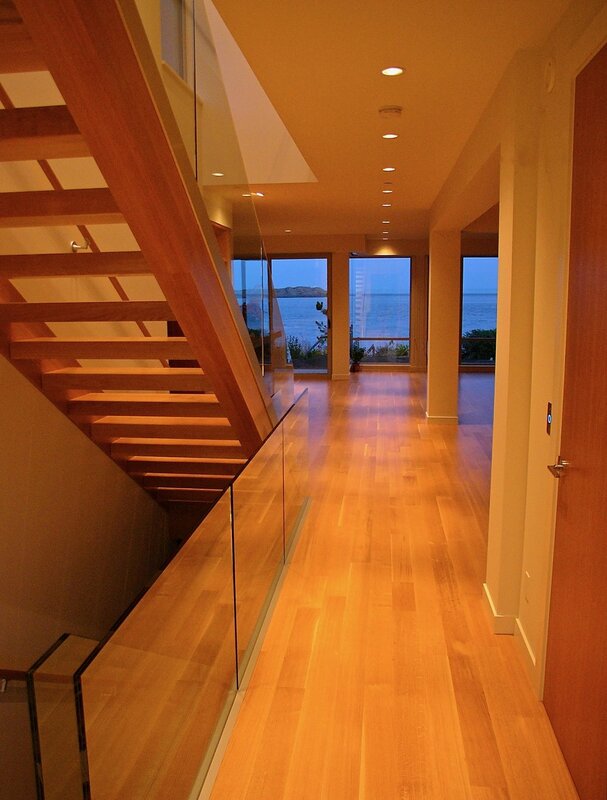 The Harling Point residence is located in the Oak Bay area of Victoria, BC. The waterfront home is in a closely-knit neighbourhood which views out to Trial Island and the Salish Sea. The design focuses on using a combination of simple architectural forms and natural building materials in contemporary ways, in order to make the most of the site’s views, climatic conditions, and neighbourhood setting. The design process needed special focus on zoning and code conditions, as well as archeological findings. These conditions were turned around into positive affects on the design. This home has many kinds of exterior and interior spaces. The roof of the garage, for example, is structurally reinforced for a rooftop garden, allowing vines to grow over the roof edge and down the large-scale lattice work on the side wall near the front door. This growing area is protected from the on-shore winds and receives strong afternoon sun. 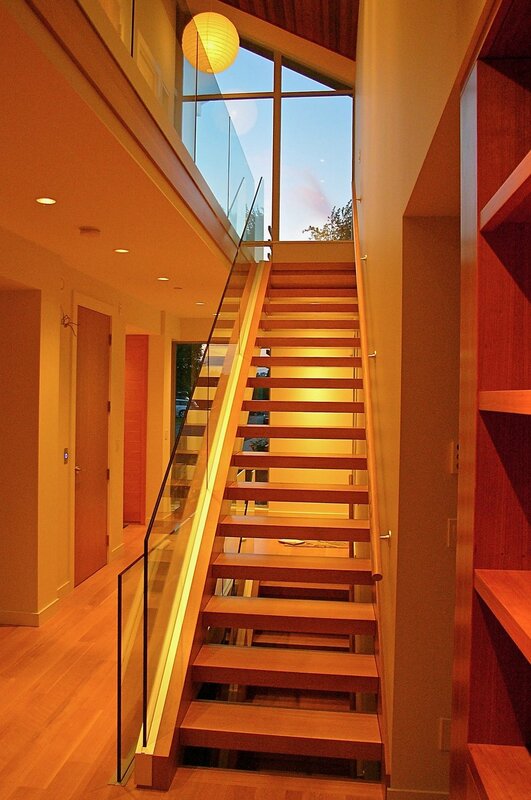 Inside the home, a central hallway through the middle of this relatively narrow space connects rooms from side to side and also vertically from level to level, making the home feel open an inviting. 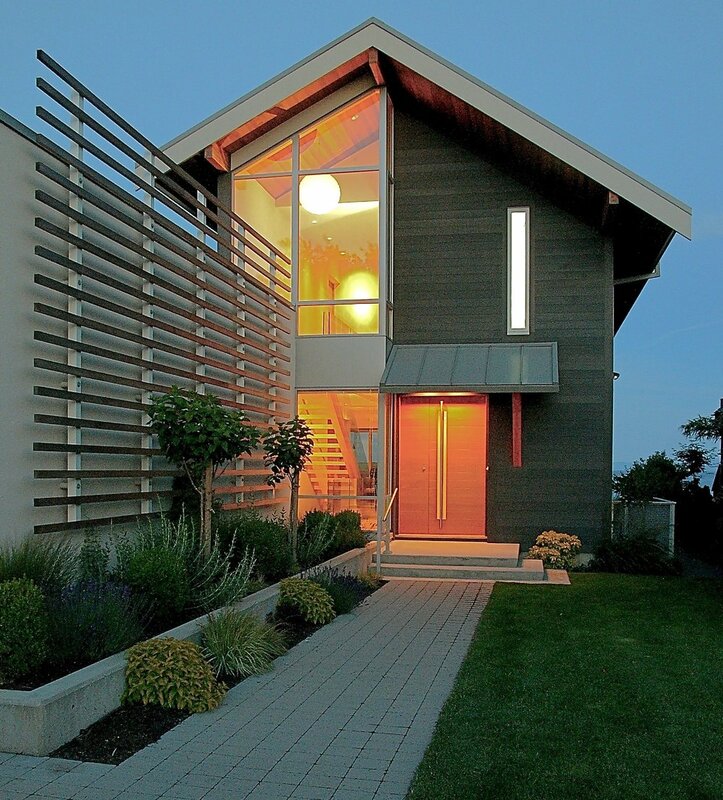 The style of the Harling Point Residence is very simple and modern in material and form. An inviting and warm modern living experience is the result. This home received the Alan Cassidy Building Achievement Recognition Award.